Other works: Eat, Pray, Love, The Signature of All Things, etc. Recommended by: Glennon at Momastery (again). I’ll pretty much try anything she says. Also, I’d already read Eat, Pray, Love, and although it wasn’t dramatically life-changing for me, it was fascinating and memorable and contained a few moments that really moved me. Main Characters: Mostly you, the reader. And Liz. And a few other creative people with profound things to say. Opinions: It was a pretty quick and relatively light read. It could incite soul-searching, but also it could just be read as a go-get-’em pick-me-up. I found it comforting on many levels, and funny too. 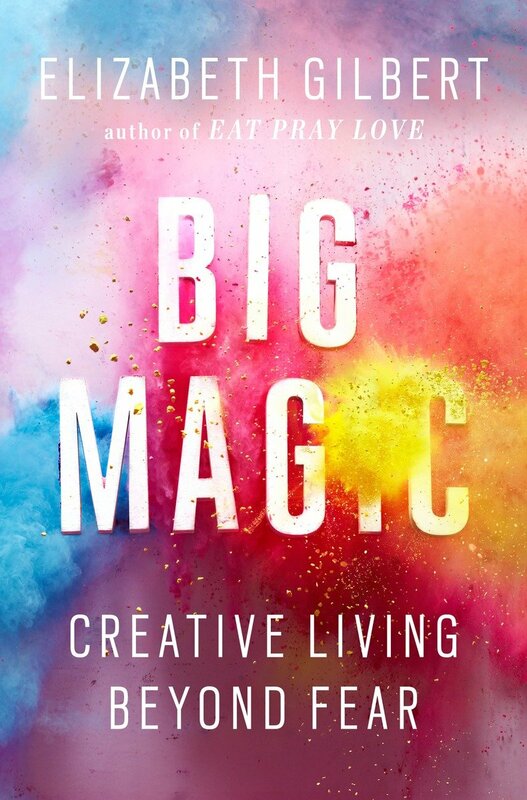 Recommended to: People who have ideas stewing but never feel validated enough to make them happen; people who think they’re not creative; people who know they ARE creative. To sum up: I liked it a lot! And I’ve already lent it to someone, but you can borrow it if you want, when I get it back.